Super-fast, hyper-addictive and mega-exciting! 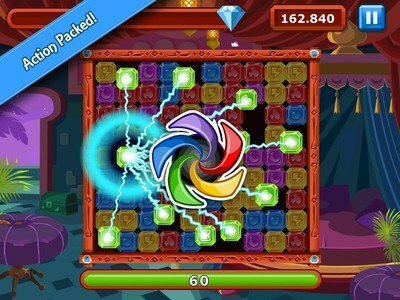 The ultimate 60-second matching puzzle game! Join the 110 million-strong community in the award-winning Diamond Dash today! Match as many gems as you can in 60 seconds, use magic abilities and level up to get huge score bonuses. Win great prizes and medals in our weekly arcade competitions and crush your friends with your high scores. 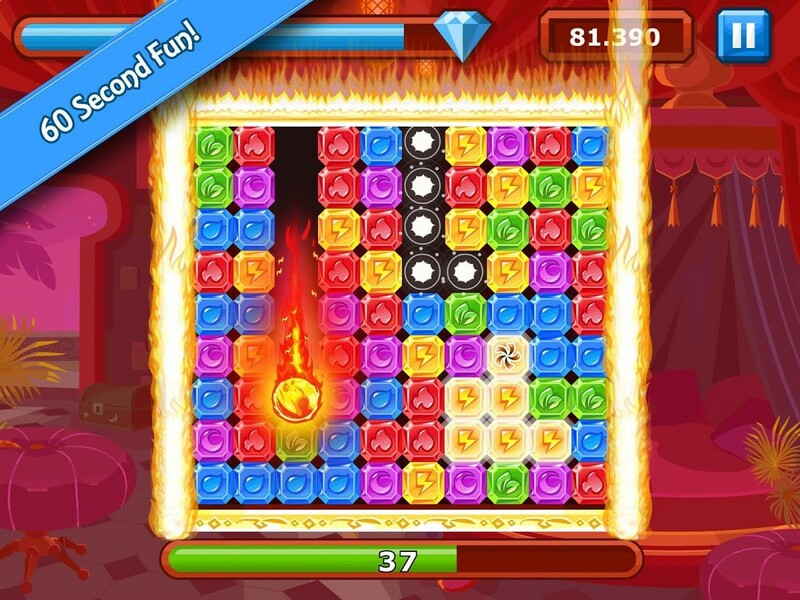 Play the best match-3 puzzle game today for free today! 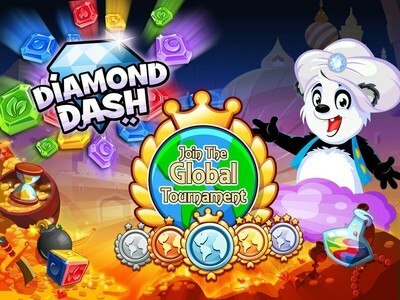 Shop till you drop and buy amazing power-ups to become the Diamond Dash Facebook tournament champion! PLEASE NOTE: Diamond Dash is completely free to play, but you can also purchase some items within the game for real money. Just disable in app purchases on your device if you don’t want to use this feature. 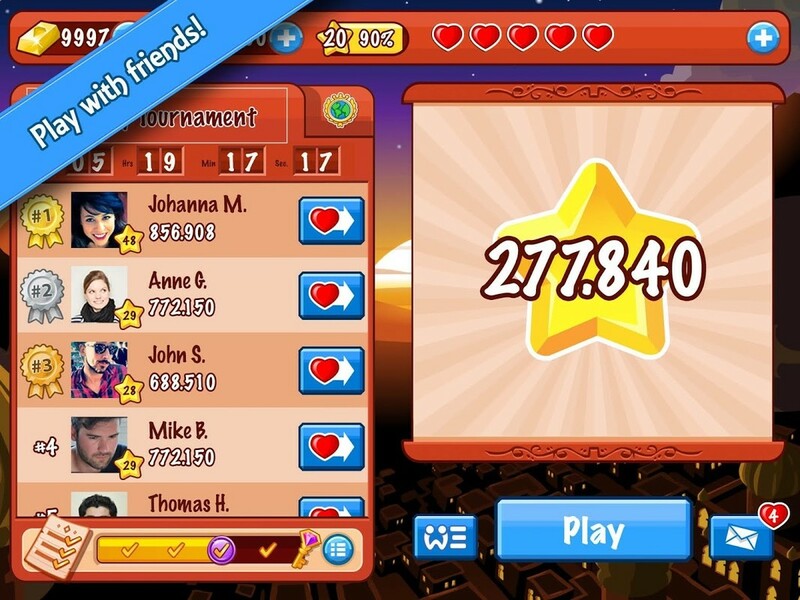 5/5 "I love beating my FB friends in the weekly competitions." Weekly FB friend competitions! Crush your friends for great prizes! Play on your mobile or tablet, and your Facebook scores, friends and tournament rank will stay in sync! With magic powers and power ups you’ll be addicted from the first click! Stay tuned for fast, exciting and challenging features. 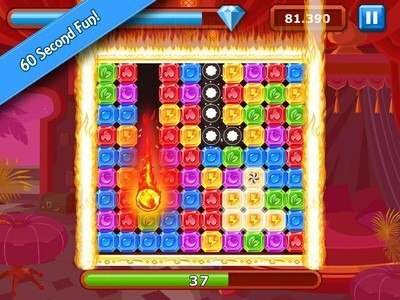 The ultimate arcade match-3 puzzle game! Play FREE now! Join FB friends for thrilling 60-second challenges! Having problems? Any suggestions? We would love to hear from you! Visit https://support.wooga.com for FAQs, or email us at support@wooga.com.